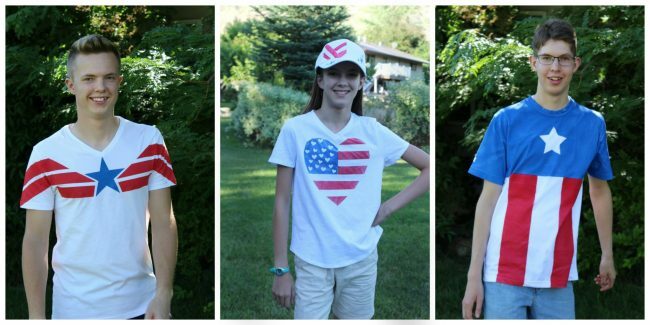 Making DIY 4th of July shirts with kids and teens is a super fun activity! They love deciding on the design they want. 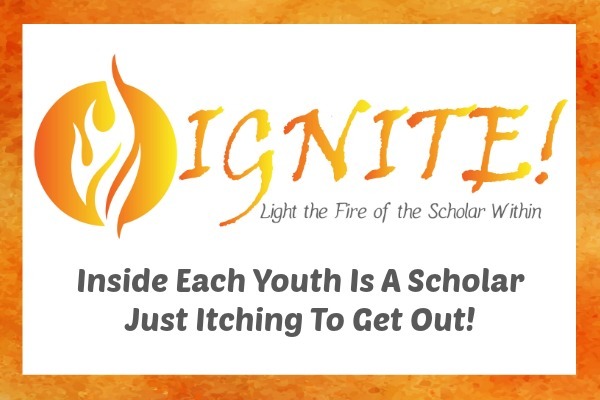 First, you’ll want to decide on your design. My kids spent a good amount of time drawing potential designs. If it’s helpful to you, I’ve included a free printable that you can use to draw your ideas, plus it includes a large heart shape that my daughter used, as well as the two different large star shapes my boys used. You’ll want to put cardboard/newspaper/or butcher paper up inside your shirt so paint doesn’t go through to the other side, still allowing it to lie flat. Then begin taping on your design. My daughter used painters tape cut in small and medium lengths and placed them around the edge of the size of heart she wanted. Pieces of straight tape laid on at slightly different angles around the edge can create a rounded shape. She wanted to spray the red stripes first, so she placed 1″ painters tape where she wanted white stripes to be (white being the color of the t-shirt.) And she also blocked off the square area that she wanted to be blue. Then she sprayed the stripes red. You can decide how saturated you want the color to be by spraying a lot of paint or a little. 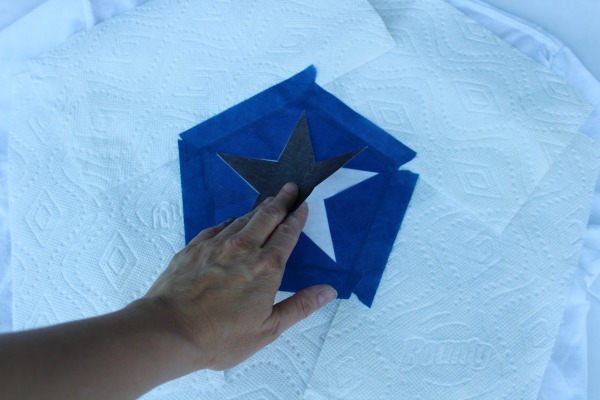 TIP: She was sure to make the top and bottom stripes red so that the shape of the star could be seen well. 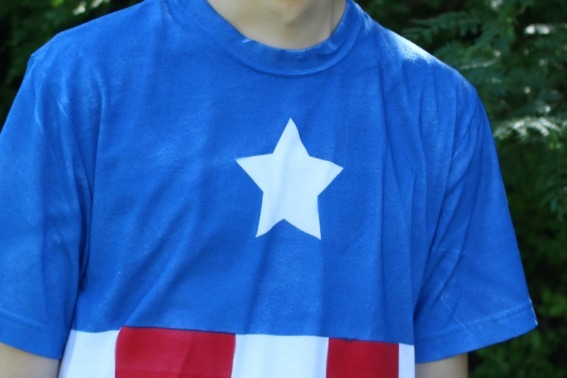 If the top or bottom stripes were left white, the appearance of the star shape would change because the shirt is white. You’ll want to let the paint sit for a while, maybe 5-10 minutes, before moving on to the next color. 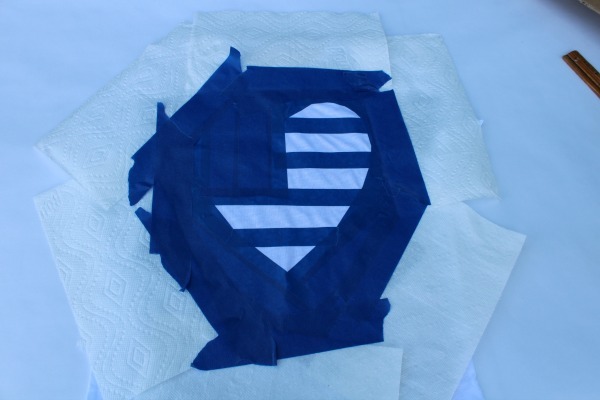 When you’re ready, peel off the tape from the area you want to be painted blue, and place the heart or star stickers as desired. Then be sure to tape off and block off the red striped area with tape and paper towel. Then spray with blue spray paint. Let sit for a while then remove the stickers, tape, and paper towel. Voila! 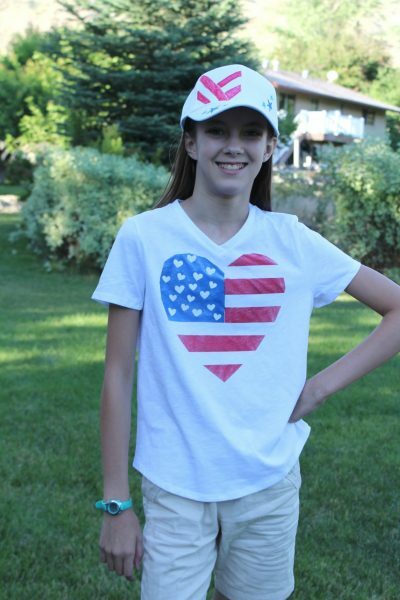 You have a cute 4th of July shirt! 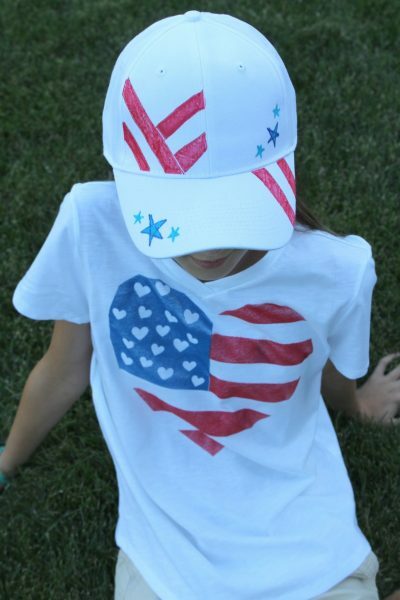 And just for fun, she also decided to decorate a white baseball hat for the 4th of July. She just used permanent markers in red and blue. It turned out cute! My sons’ shirts turned out pretty cool as well! 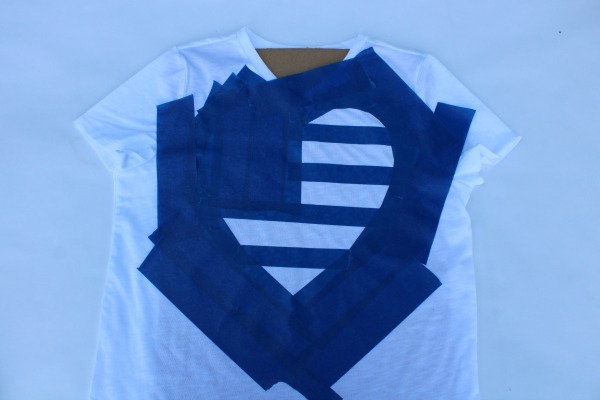 You’ll create your designs similarly as to how we did it above with the heart shirt. 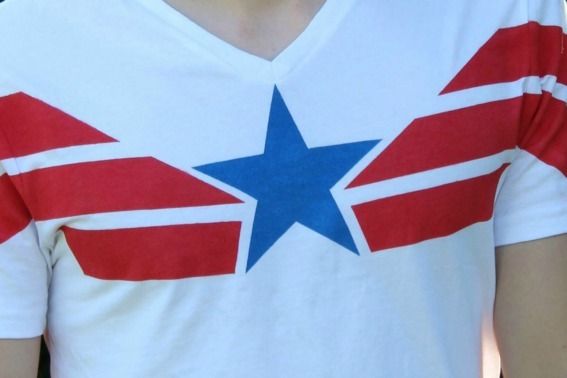 Just determine your design and tape it onto your shirt. 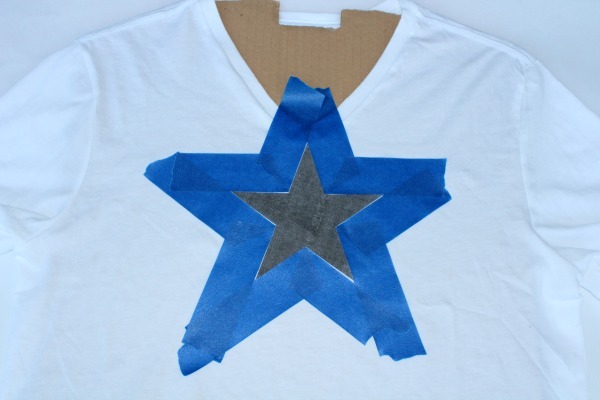 Cut out the star shape you want out of paper, then tape it on to your shirt. Have the tape extend just barely beyond the paper star to adhere firmly all the way around the star, being sure to make crisp lines and sharp points. 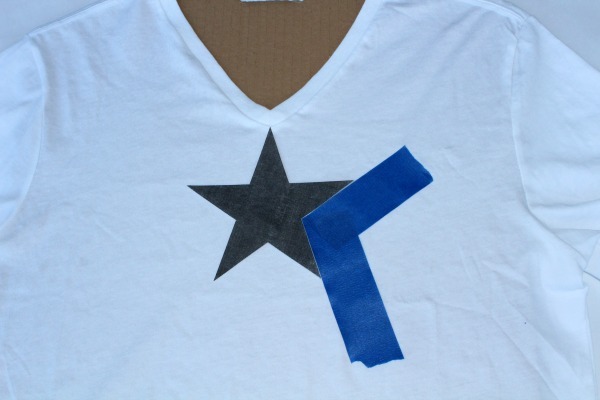 Then later when you peel off the star, it will be white underneath. The method we used here is the opposite of how we did the above star. Where he wanted the star to be blue, we taped the paper star onto the shirt with just a piece of taped looped to hold the star in place. The important part came after that. I had to methodically tape around the star on the shirt following the shape of the star, being super careful to get crisp edges and making sure to press down firmly on the tape. 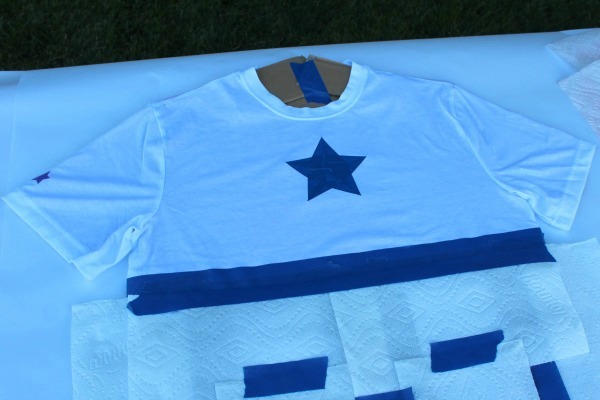 Then we covered and protected the remaining area of the shirt with tape and paper towel, and removed the star so we could paint it blue. 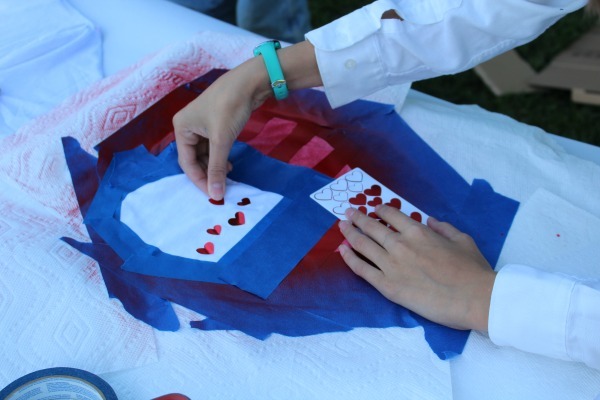 Then after you created the blue star, we continued to create the red stripes. We cut the 1″ painter’s tape in half, making it 1/2″ wide, to create the space between the stripes. And proceeded to tape on the shape of the stripes he wanted. TIP: Press firmly on the tape to create crisp lines, and to be a little overzealous in protecting the rest of the shirt before you spray. 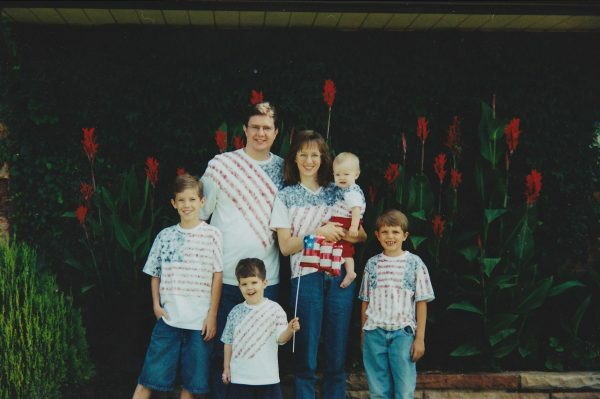 Several years ago we made another kind of DIY 4th of July shirts for our whole family. 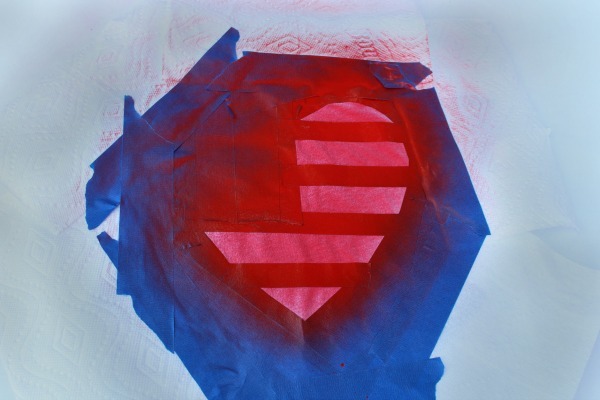 It’s the same basic concept except instead of using spray paint, we used red and blue acrylic paint, and applied it by scrunching up paper towel, dipping it in the paint, and patting it onto the shirts. This was years ago! Back before my youngest daughter was born. 🙂 The two youngest boys in the picture below are the two teens pictured above. Wow, time sure flies when you’re having fun! 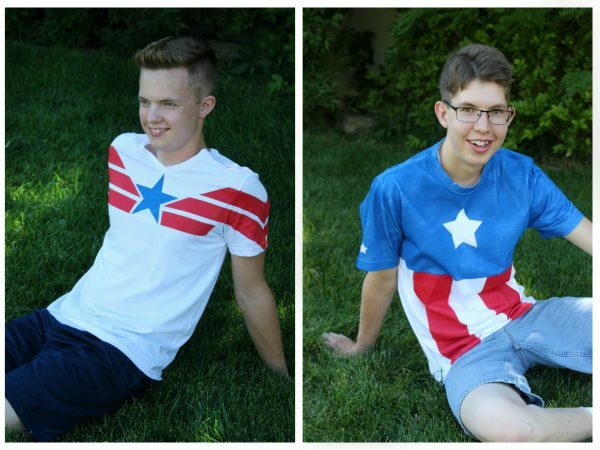 We had a blast making these shirts and they turned out so great! 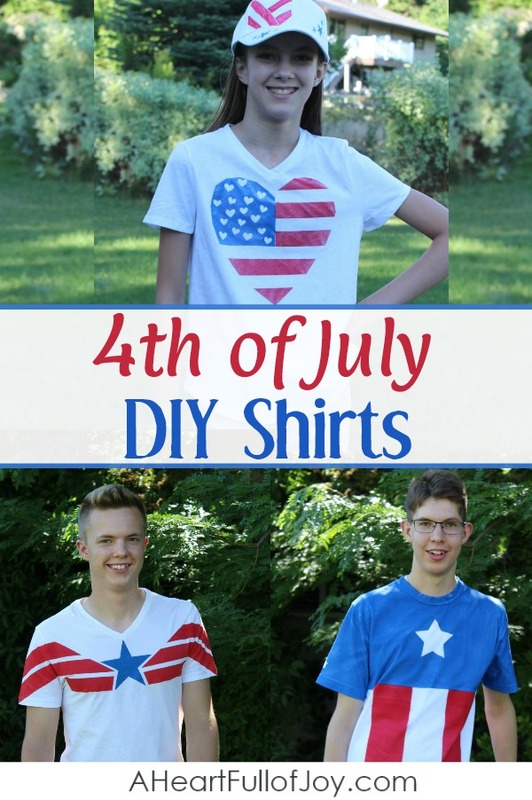 We hope you have fun making your 4th of July shirts, and most of all that you and your family have fun and create wonderful memories this holiday! Did you enjoy this post? 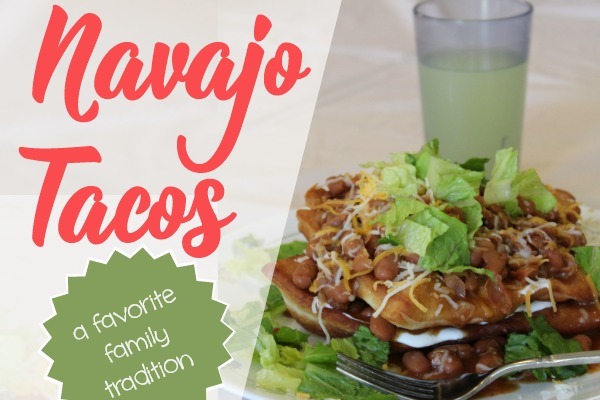 Pin it to your favorite Pinterest board so others can read it, too! Welcome! I'm so glad you're here! Being a mom is my most favorite thing. 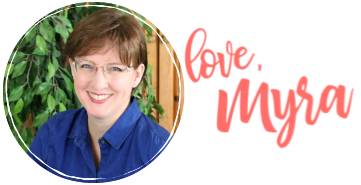 I want to help and encourage you in your efforts to be the best mom you can be and to help you create a home life that you love. I love it when you share! Please know that all content and photos are property of A Heart Full of Joy. If you’re creating a round-up style post, feel free to use one image from the article and link back to that post. Please don’t remove any watermarks, crop, or edit any of my images without obtaining written permission from me. 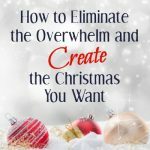 All free printables and downloads are for personal use only, and may not be redistributed or sold. 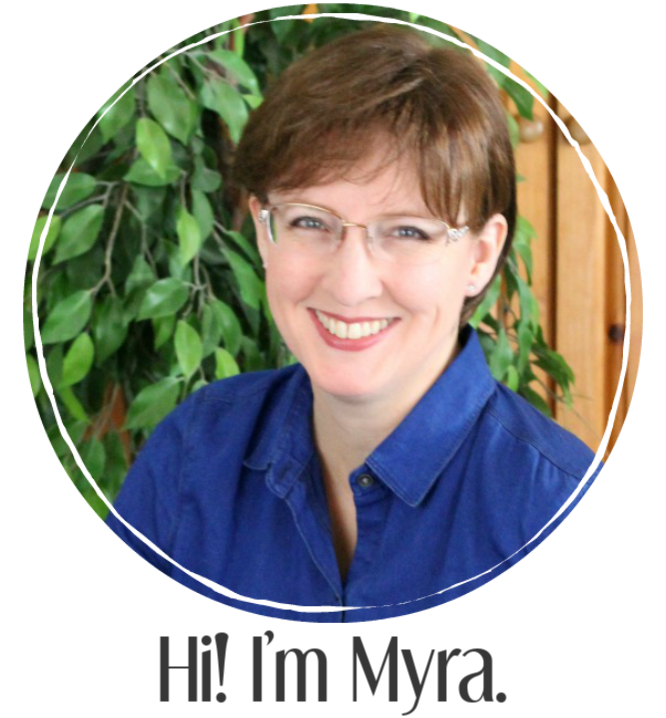 Pinning is always welcome and appreciated! Thank you!